art of living – Viby Speaks His Mind! There are two kinds of people in this world: victors and victims. On the other hand, there are victims. Victims complain how the life is so unfair to them. They whine and spend their life in misery. This part is not a problem. We all have problems and some have more than others but it’s the approach that still matters. Talking about your problems and discussing it with people is not something to be ashamed of. It is actually the first step to a solution. The problem arises when they only discuss it again and again without acting upon it. Realizing is the first step. Discussing your problems is the second and having a plan and executing it is the third. Victims usually succeed in the first two steps but fail when it comes to third. That’s when they become victims. A person who creates, learns and think like a winner will achieve things and beat the odds in his/her life while a person who complains, doesn’t try, doesn’t put in effort to achieve things will spend his life in misery. It’s a hard fact to understand that life is simply unfair. It’s you who has to decide what you want out of life. So, are you a victor or a victim? Why do you write if no one reads? Why do you write if no one reads? Few people have asked me this question. So here I want to reason why it is such an important thing for me to keep writing. It feels like I have pulled off a massive weight off my chest. My mind does crazy things and I have a tendency to over think. Writing always helps me to process my thoughts and be well connected with them. I do not do this to please others but myself. Often some people do tell me that what I am saying is quite right but then they question why I do not always follow my own advice if I know so much. The simple answer is it is the first step to acknowledge the stuff that brings you down and knowing what you can do to change it but we humans have emotions as well. Only knowing and being aware is not enough. We need time to better ourselves as well. Life is like a rollercoaster ride. There are always ups and down and that is what most people actually fail to realize. We experience happiness, sadness, fear, love, rejection, dejection, loneliness, excitement, anxiety etc. and this is what makes it all wonderful yet terrifying at the same time. So, thinking that wisdom and intelligence are going to cover your every flaw is a misconception because human beings are flawed and they make mistakes even if they don’t want to. Coming back to my original point of why I write even if no one is willing to read, I do it for fun, for the pure joy of it and that is rare stuff. Finding something which you can do just for the heck of it is the most satisfying and calm feeling that we can experience. Aggression is destructive but sometimes necessary. Lately, it has been evident to me that whenever I am playing a sport such as football/soccer, I get quite aggressive. Most people project their aggression by doing drugs, fighting and getting out their frustration on others by yelling at them. However, the reason why I said that aggression is sometimes necessary is because, for a guy like me, it is tool to get me focused and determined. Whenever someone sparks the aggression within me, it feels like that I have some paranormal powers to get things done. Aggression motivates me to do things right and make my life better. Lesson of the day: Project your aggression in the tasks which have positive reinforcement attached to it rather than projecting them to receive negative reinforcement. The innocent look you had on your tiny little face. The charm you had, once in your squeaky delightful voice. All that has been vanished and now it is hidden somewhere at the place which you have never visited and neither you can visit it even if you’re willing to do so. It is sad, isn’t it? Some of the people around might be glad, though. But there are those times of nostalgia when you are reminded of every littlest things you did when you were a child. Sadly, if you are reading this right now then there are high chances that you have said goodbye to your childhood long time ago. Through this discussion, I aim to remind you of the things you used to do when you were still a cute-innocent, sometimes naughty and naive, little kid with a pure heart of gold. The first and the foremost thing I can think of is playing outside. Now that you’ve grown up, most probably you do not get too much time for playing due to the other priorities you’re having in your life whether it is your studies or your job or any other thing which is more important for you. You must remember when we never had any troubles and worries and most of the time used to spend in imagining new ideas and playing outside in the green beautiful park when the cold yet not-so-cold wind blew your hairs and you felt the freedom while running at full speed with all your might. Yeah, wasn’t it awesome? Yes, what a beautiful time was that! 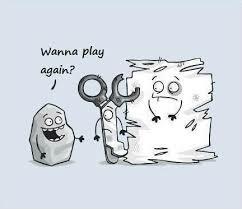 Rock-Paper-Scissors! Have you ever played this game? I’m sure you must have played it. If not, then well, you can play it now. I know it is not that interesting now as it used to be but hey! it depends on you whether you like it or not. So I’ll just leave it to you if you want to try this or not. For those who have played it, must remember how cool it was back then. There were like these games which we enjoyed and think about it now, it would never be as cool as it was back then because now we all have those high-graphic digital games which are, according to most of today’s kids, are more interesting than any other game. Finding fun in everything! When I was a kid, I used to laugh at my own jokes, my own singing, my own dancing and make fun of literally everything I did without getting too conscious about it. But look at me now or maybe you can also relate to me, now even if someone laughs at me for doing silly things I get too anxious and nervous about it and it has become so harder to take things lightly as I used to be. We never worried back then about what we did or what others felt about us. We had that unique talent to laugh at the most embarrassing moments of our life and not even care about it later. That talent has been lost somewhere. Somewhere which we haven’t discovered yet and I don’t believe we would be able to discover it any time soon. You can find childhood in the face of every kid around your neighbourhood but your own childhood would never come back again. We often become downhearted whenever we think about the past and the wonderful time we had when were kids and it is natural to be so but one thing we always have to remember is that we should be grateful that we had that beautiful time of our life and we lived through it. People often tends to tell you about that how much they hate it whenever someone judges them, no one truly wants to know about themselves from other’s point of view and rightly so as it does not necessarily gives a clear reflection of one’s personality. So it can be concluded that most of the people(almost everyone) never likes it when a person tells them about themselves. On the other side of the coin, it is a fact that every single individual living on this planet judge the other person at one point of time and generally we do that to other people everyday. The truth is we all judge people whether we like it or not we’ll always get judged by somebody. Sometimes you can judge people without even realising it like how you’re right now judging the writer of this discussion, either in a positive way or in a negative way. That is not my business,right? The last line I said is a typical response of a person when s/he gets judged by the other person, is that true? I know it’s true because I’ve heard that “none of my business” thing thousand times till now and that is quite a good way to respond to any kind of judgement so no argument on that. their personality in few meetings. ♦You’re also Imperfect – Come on! you know it. Everyone else knows it. You’re not perfect and no one actually is. Even the most intellectual or philosophical person that has ever lived or is still living is not perfect in everything so you got to keep in mind that other people are not perfect either. All of us have drawbacks just live with it dude. ♦Everyone has their opinions – yes, there are millions of people other than you and all can have their point of views. You may not like something but that doesn’t mean everyone else also don’t like it. It goes with everything in the world. Few people like this and that, few dislike this and that so really if you dislike something why not just ignore it? It will save your time and everyone else’s as well. So I tried to keep it short and simple. I just listed out these 3 points but there are hundreds of points about it if you really start to discuss it on a deeper level. I hope you’d also become a better person everyday and try not to judge the people around you so much. Judging just creates controversies most of the times so why not avoid it for at least your own sake? Good day and have a healthy life. So here I have made another track called “Desire”. I named it so because I liked the name and somehow, this was the first word which came to my mind after I listened to this track of mine. Anyway, I had to give it a name so let it be!